how you lift my soul when I see you in the store. and I realize that everything is right in the world. Your milk chocolate shell…so scrumptious. Your soft fondant center…so decadent. Your richness is worth more than all the gold in the land. it’s for the best that our time together is brief. for I have promises to keep, and miles to go before I…keep going. Okay, you get the point. 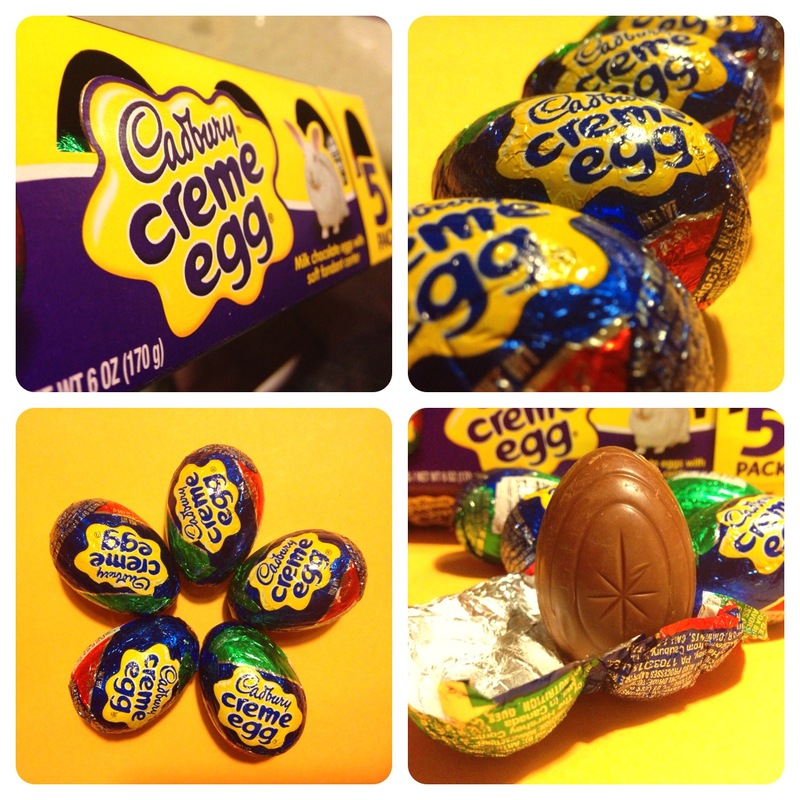 I love Cadbury Creme Eggs. And yes, I bought a five-pack of them at the store last weekend. I couldn’t find them last year! By the time I gave in to the urge to buy one, all I could find were the mini-eggs, which are totally different and completely inferior. So even though Easter is still two months away, these babies are hot-off-the-shelf so I don’t miss out this year. In other news, I am still struggling to get back to a regular exercise routine. Things have been super-busy lately (nothing new there), and I’ve only managed to squeeze in a few sporadic workouts. The good news is that I have been able to exercise without any serious flare-ups with my hip. It’s still sore sometimes, but it’s not popping out of place anymore. For the time being…. I was really looking forward to a fun night of cooking with husband for Valentine’s Day, but our oldest son came down with the flu. :( Thankfully we caught it very early, and he recovered nicely. So our cooking plans have been rescheduled for this weekend. Stay tuned for details! One thing that has made me determined to get back on track ASAP is the warmer temperatures we’ve had this week. It’ll be time for flip-flops and shorts before we know it, and I am hoping to buy some new spring clothes! My winter clothes have gotten pretty loose, but I’m trying not to buy too many new clothes because I am only about halfway to my weight-loss goals. I think it will be kinda fun – and kinda sad, because I get attached to my faves – to pull out my spring and summer clothes and find that they are too big for me. Warmer weather has also got me thinking about that tropical vacation my husband and I would like to take for our 15th anniversary. I still don’t know if the stars will align for it to happen, but I can almost hear the ocean calling and feel the warm sand between my toes! As we dream of palm trees and warm breezes, I pray that we all stay safe and warm during this last month of winter. I love winter, but I think I’m about ready for spring! And Easter candy.